Come join the fun to watch our 16 teams competing on Saturday at CFCP! 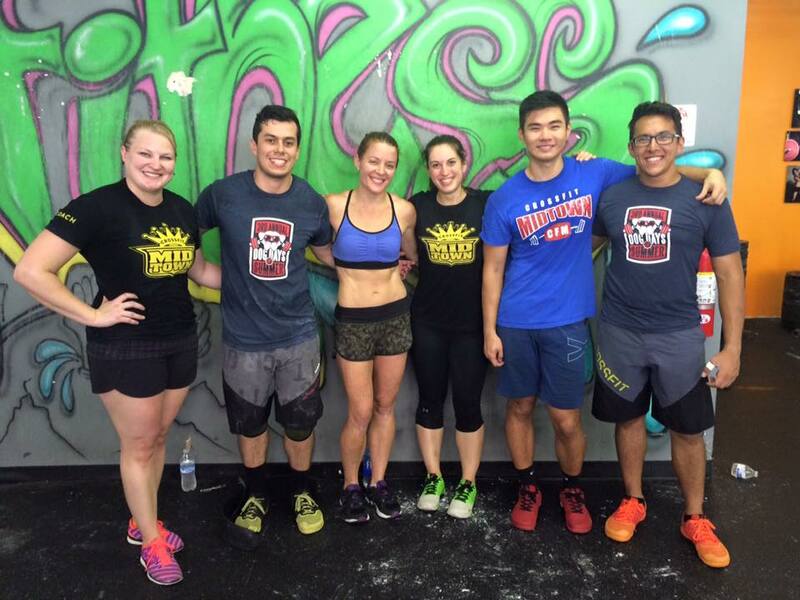 For schedule of heats, competition details, directions, WODs, and CFM Roster click here. Tabata score is the least number of reps performed in any of the eight intervals. Post Tabata score for each exercise and total for final score. Ex: 6, 14, 10, 11, 10 = 51 Rx. A. Muscle Up: In 10 minutes work on strict muscle up transitions. Thursday, Dec 28th:Early bird registration ends for the Lurong Resolution Challenge on Thursday 12/28 at 11:59pm. Sign up now to save 33% off registration!! If you are looking to make some serious improvements to your diet and fitness so you can achieve your goals, this is your answer. Click here for more details and to join Team CFM for the challenge. Thursday, August 24th: Bring-A-Friend Day! 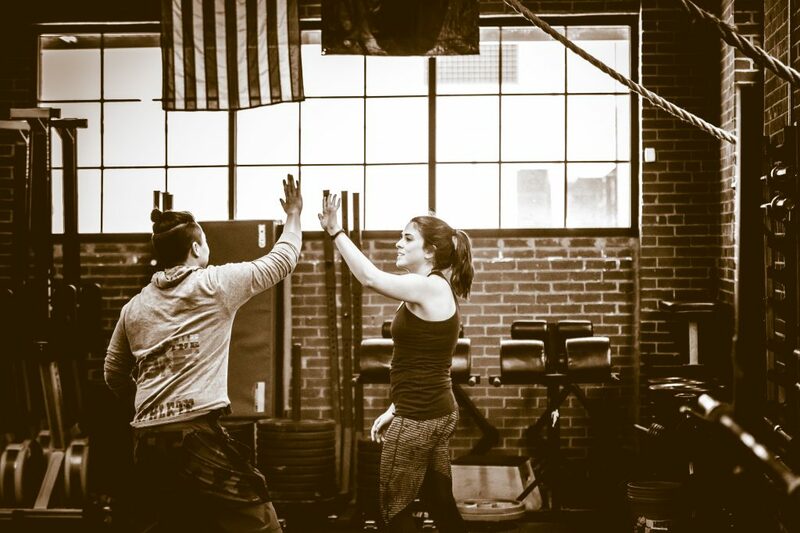 Invite a friend or family to join you for a beginner friendly partner workout. Email us with their name and contact email to reserve their spot. #BYOF Bring Your Own Friend! Sunday, August 27th:CFM Yoga Workshop. CFM Yoga Instructor Will Milne will teach an introductory workshop on the basics of yoga. 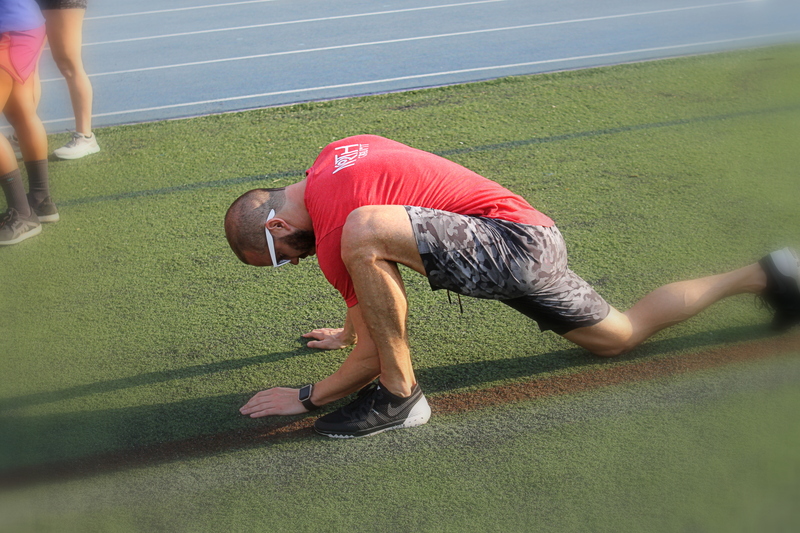 Increase mobility, speed recovery time, prevent injury, improve posture, find new strengths and the power of relaxation. We will cover basic breathing techniques, spinal articulations, key yoga poses, and the physical and mental demands of restructuring the human body. Click here to sign up! Monday, August 28th Lurong Championship Challenge Early Registration Deadline. Before 8/28 save $15 on registration. If you are looking to make some serious improvements to your diet and fitness so you can achieve your goals, this is your answer. The Challenge combines nutrition and weekly WODs. Whether your goal is to lose weight and look amazing in your swimsuit, or you are looking for serious performance gains, this Challenge is for you. Challenge starts on Monday, September 18th. 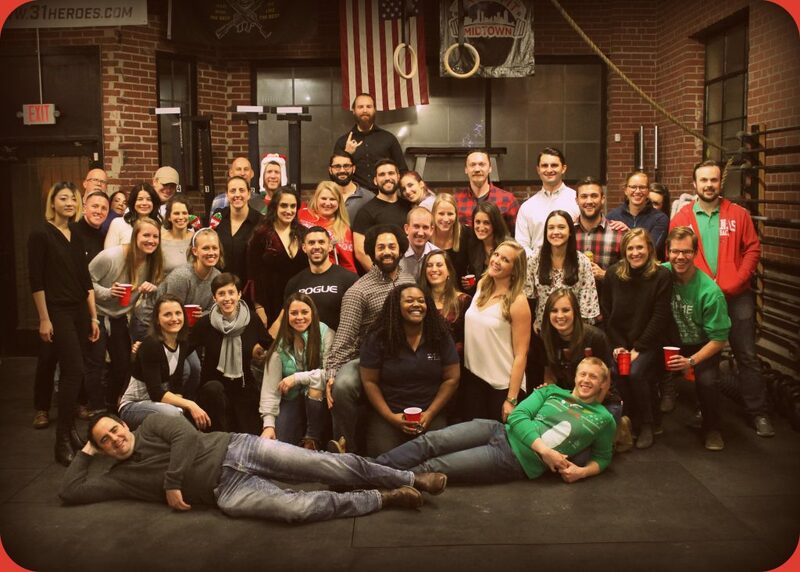 Click here to sign up and select CrossFit Midtown as your Gym Affiliate! A. Back Squat: 3 sets of 5. Worksets. Max reps on final set. 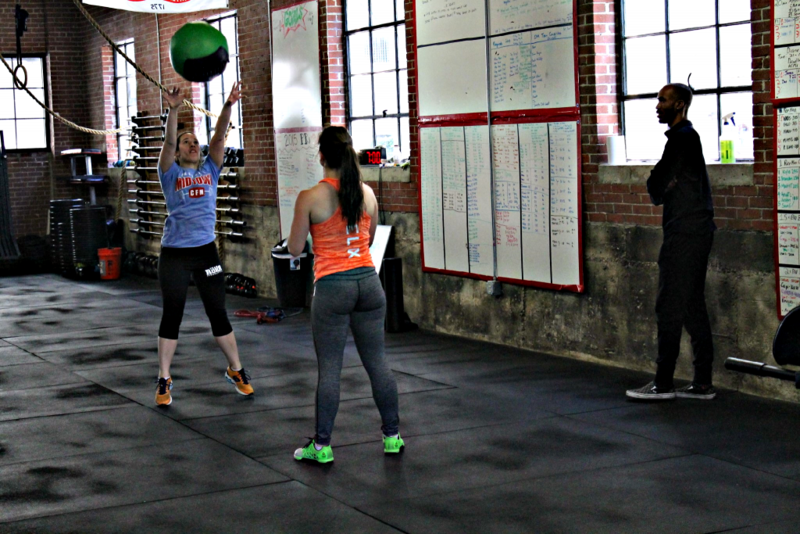 Post load and reps for Back Squat and total reps for each movement. Ex: 240#, 8 reps, 210, 55, 74, 188 Rx. A. Power Clean: 10 minutes every minute on the minute 1 Power Clean. 80% of 1 rep max. *3 levels of weights designated (L1 / L2 / L3). 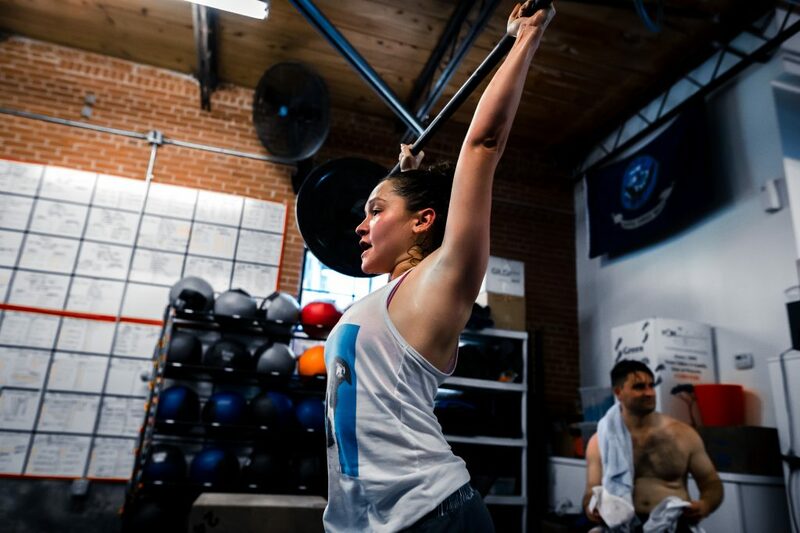 Select the weight that will be challenging but that you can do unbroken for the barbell complex (~70% of part A). Post max load for Power Clean and time to complete WOD. Ex: 185#, 8:35 L2. All reps and distances are individual totals. One partner rowing while other completing Man-makers and then they switch. Once both are finished their 100m and 2 Man-makers they switch and begin round 2. 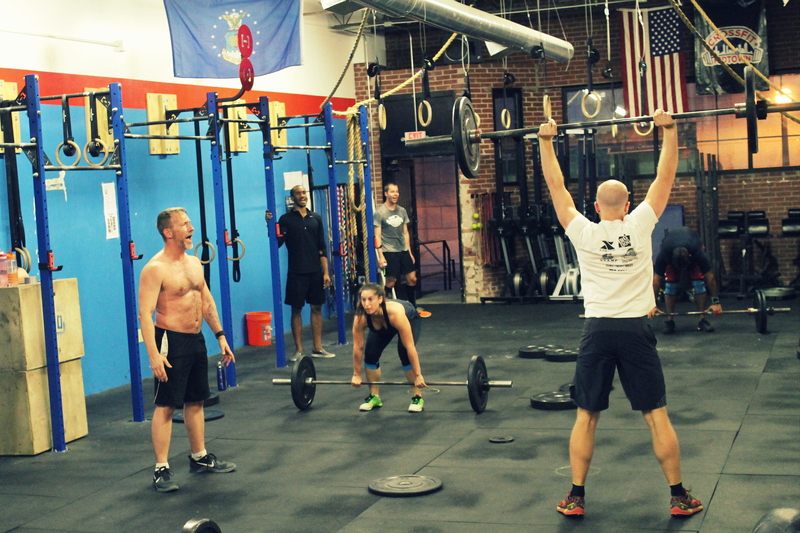 Post time for both partners to complete WOD. A. Weighted Pullups: 3 sets of 7. Same weight on all sets. Max Reps on final set. Hold barbell in front rack. A. Back Squat: 3 sets of 3 reps. Worksets. Max reps final set. Post total strict chinups and total of max consecutive Jump Ropes from 3 rounds.